Volunteer, adventurer and nomad writing about my experiences as I navigate my way around the world. Who is the Wandering Volunteer? What to Pack – Part 2, My Pack’s, Organising Packing & Security. In this section I’ll look at what to pack to get the best possible great night’s sleep. It’s all in the kit. Now I know what you’re thinking, ‘You use this in the tropics, with open mesh sides? Don’t they have sever rainy seasons there? So what’s to stop you getting drowned when the heavens open in the middle of the night, doesn’t the rain pour in?’ Well help is at hand for I have a solution for that, by utilising another piece of my kit, which I’ll come to shortly. 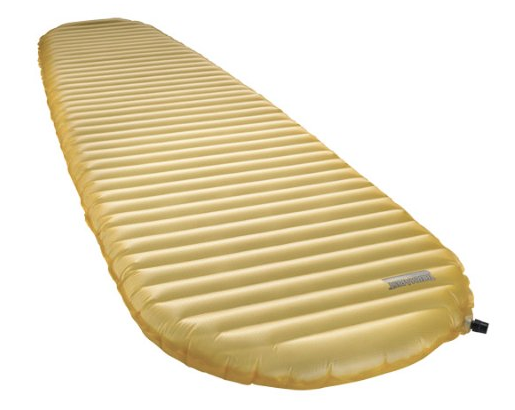 Another item high up on my list of priorities is my Therm-a-Rest Outdoor Mattress. Providing I have the right mattress that gives me support and is comfortable then I can sleep pretty much anywhere. For this purchase I follow the advice I received when buying my first ever home mattress, ‘you’re spend a long time in bed, so make sure it’s comfortable and buy the best you can afford’. The Thermarest technology, with its cellular structure and self inflation mechanism is in my view the best product on the market for it’s weight (260 grams) and compactness, it compresses down into a small roll – important considerations when packing for travel. Next, if like me, having your feet confined within a bag drives you mad, then this one has an independent bottom zip that allows your feet to peep out, open to the air. It is lighter in my pack than a three to four season bag, weighing 800 grams. Saving the best bit to last, this is no ordinary sleeping bag. When used with the Travelproof Expedition Poncho, see below and video, this sleeping bag transforms into a waterproof rug, or a cosy shawl – ideal for colder nights around the camp fire. It’s a fine waterproof that will keep you dry even in the most torrential monsoon. As mentioned above and demonstrated in the video below, when combined with the Travelproof Variant III Sleeping Bag it transforms into a waterproof rug, or a cosy shawl. It’s so large and versatile that it acts as a waterproof covering for the SansBug Free-standing Pop-up Mosquito Net Tent in the event of an overnight storm. When travelling it will cover your backpack keeping it dry even in the most torrential downpours. Lastly, I’m sure you’ll agree, it’s just so darn attractive, it’s what every debonair nomad needs! But seriously, this Poncho keeps you dry, so that once the rains stop you can transform emerge poncho less looking as though you’ve just been for a stroll in the park and not like the proverbial drowned rat! If you haven’t considered using a Silk Sleeping Bag Liner then you should. They provide a couple of benefits: They supplement my two season bag with additional warmth on cold nights, by trapping a layer of air within your bag they act as an insulator. Using a liner also keeps your bag cleaner, by soaking up body oils, so the bag doesn’t end up musty and smelly. This means your bag needs less time consuming washes, with the bonus that due to its light composition the liner can be washed frequently, as it dries within an hour. Another advantage, for those hot sticky tropical nights, is that you can dispense with the bag and just sleep in the liner, but still have the comfort of a covering and a little weight (140 grams) around your shoulders. Finding a decent pillow that isn’t bulky and crowding out your pack, yet gives you a great comfy head rest has been a long quest, but with the Therm-a-Rest Compressible Travel Pillow I think Ive found the perfect accessory. Weighing in at 255grams, its almost as light as a feather, yet it rolls up to compress into a tiny pack. Made from lightweight polyurethane foam, it packs smaller and expands larger than other camp pillows. A couple of tips with this baby, firstly wash and tumble dry it before you depart on your trip and secondly unpack it half an hour before you rest on it to ensure it’s all puffed up and luxuriant! The items mentioned above comprise a combined weight of 1.95 Kilos out of your typical checked airline allowance of 22 Kilos. Please Note: I have not included the SansBug Free-standing Pop-up Mosquito Net Tent within this calculation as it always travels as my second item of cabin luggage. ← What to Pack – Part 2, My Pack’s, Organising Packing & Security. Accra Adventure Adventure travel book Africa Africa overland Cape Coast Cape Coast Castle Colonialism Death in Ghana Fulani School Funeral Ghana Ghanaian funeral Ghanaian life Group dynamics Kokrobite Lake Volta overland overlanding overland packing list Overland travel book packing list Religion in Ghana Religious beliefs in Ghana Rewarding Voluntary Work Rough camping travel rtw rtw packing list rtw packing solutions Slavery Speciality travel book Surviving group travel Togo Travel book Volun-tourism Voluntary Work Abroad volunteer Volunteer Experience Volunteering Volunteering Abroad Volunteering Experience Volunteering in Africa Volunteering in Ghana volunteering options Volunteer Social Life Volunteer Teaching Voluntourism what to pack for overland trip what to pack rtw Why Volunteer Abroad?